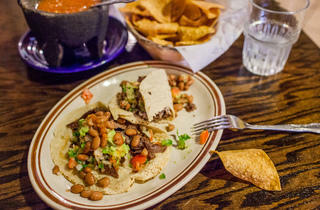 Photograph: Nick Murway Cecina Taco at La Casa de Samuel. 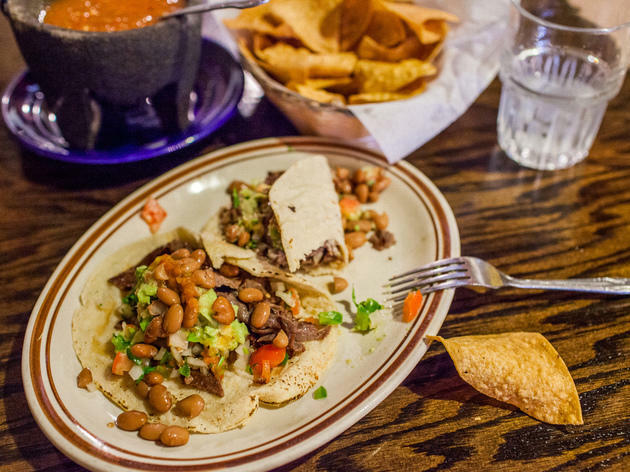 No place in Chicago cares about corn tortillas like La Casa de Samuel. You can see this for yourself, since they are all prepared right as you walk inside. Thick, yet soft, with a sweet fresh corn fragrance—they are good enough to eat alone. But they really thrive when matched with slices of funky cecina. Thin sheets of beef are salted and dried, resulting in a concentrated wallop of beefiness. El stop: Pink to California-Cermak. Bus: 21, 94.